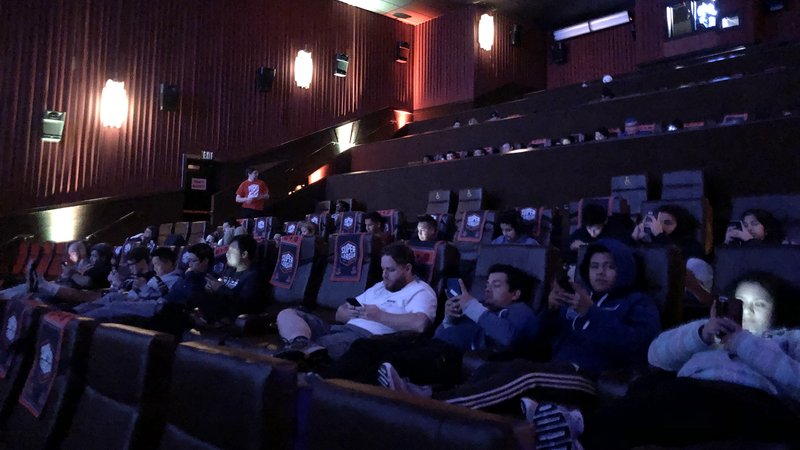 Last Tuesday, new and old faces alike made their way to the remaining October Super League Clash Nights to claim the title as the best Clash Royale player in their city. Missed this month’s events? No problem. 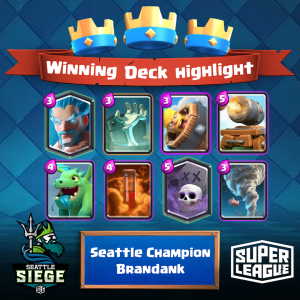 We have Super League Clash Nights events every month where you can compete with players in your local community. If you’re ready to bring your skills to a national level and compete against other cities, make sure to check out Clash Royale City Champs on October 23rd! 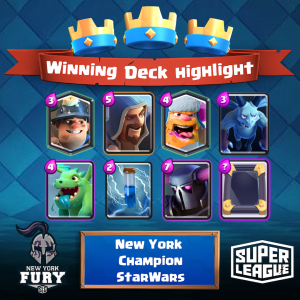 As always, we’ve included the winning decks below and you can rewatch gameplay on Super League TV. 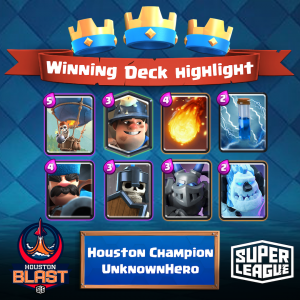 UnknownHero made himself known among the Houston Clash Royale community while JTR4IN found himself in second place yet again. We’d better keep track of him to see if he ends up securing first place in future events. It was a war of fandoms as StarWars faced off against Optimus. The force within StarWars awakened, allowing him to take down our favorite Autobot leader and former New York Super League Clash Nights winner. try dominated Philadelphia’s event, standing undefeated as others in the community struggled to take the crown. As hard as Ali GT500 tried, he could not defeat Super League Clash Night’s newest player to watch. 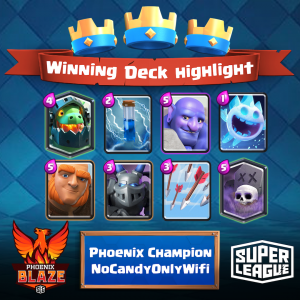 Despite starting the night off poorly, NoCandyOnlyWifi climbed his way up and secured the #1 spot for the second month in a row after defeating Micharl… and word on the street is that this Phoenix Blaze is ready to challenge another certain Blaze we know. Ahkora and Sho were equally matched as game 3 went to overtime and consisted of both players taking turns slowly chipping away at each other’s towers. 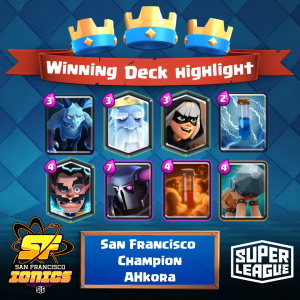 With a Battle Ram and Royal Ghost, Ahkora was able to take the victory for the second month in a row. While brandank took the first game, Jack held the tempo advantage at the beginning of the second. Jack’s poison allowed him to better counter the Graveyard that initially brought his opponent to victory. However, in the end he could not defeat CLG’s brandank who ended 2-0. 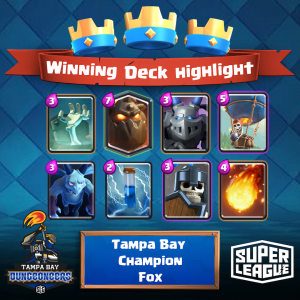 Fox held a lead throughout the entirety of Tampa Bay’s Super League Clash Nights. His patience and skill shined in game 3 against Jay, allowing him to claim his title as king for the very first time. There was constant rotation between the top 4 players, ending with Thebosshey123 and Knight making it to the finals. 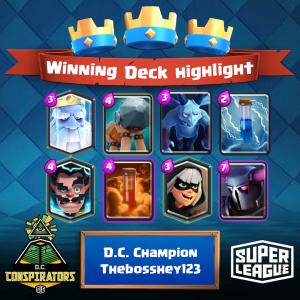 Thebosshey123 had no trouble against last month’s Super League Clash Nights king as he went 2-0. 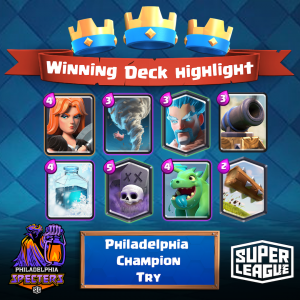 We hold Super League Clash Nights monthly in 16 cities across the nation and also have our inaugural season of Clash Royale City Champs starting October 23rd. To get the latest updates on these events, follow us on Facebook, Twitter, and Instagram!